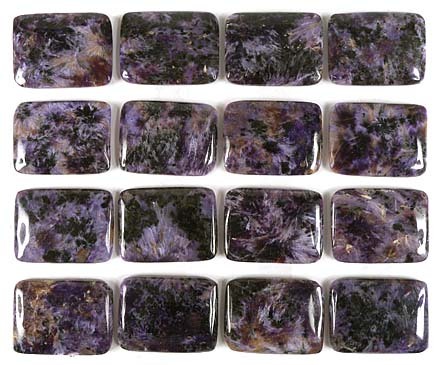 Free Form Grade A Charoite cabochons are small to medium size. 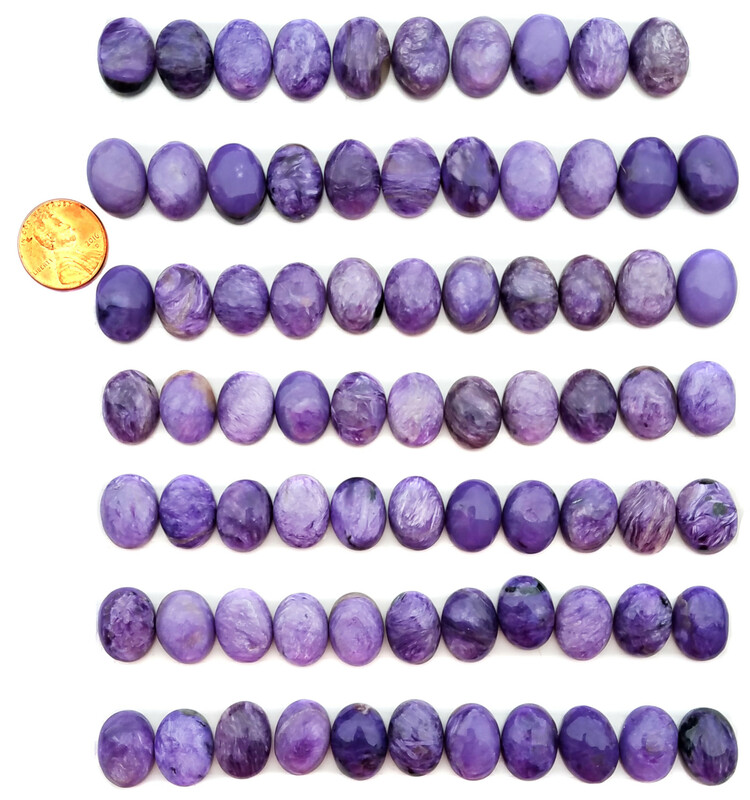 Calibrated Grade AA Charoite 12mm x 20mm Ovals. Parcel consists of 66 stones. 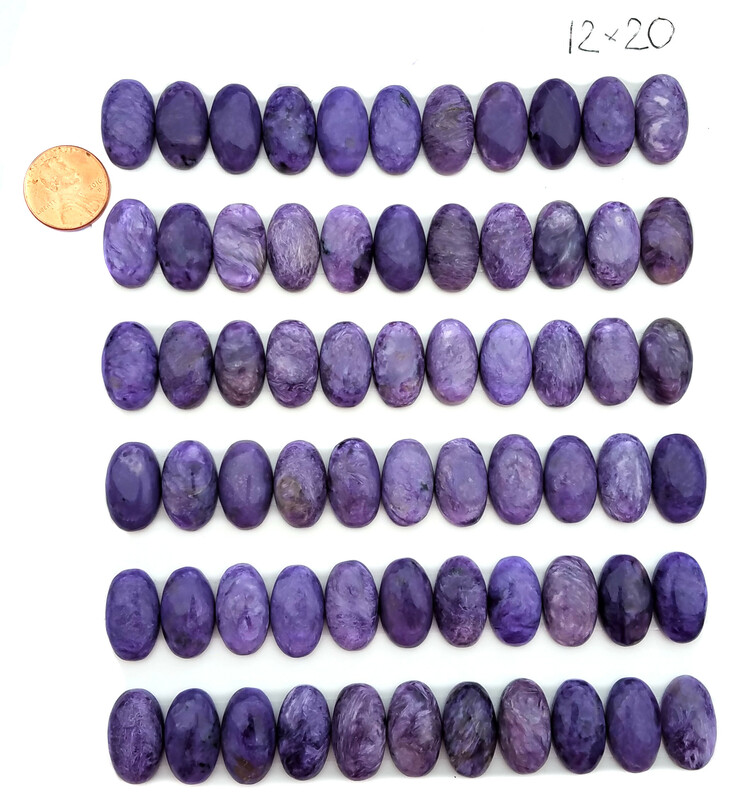 Calibrated Grade AA Charoite 12mm x 16mm Ovals. 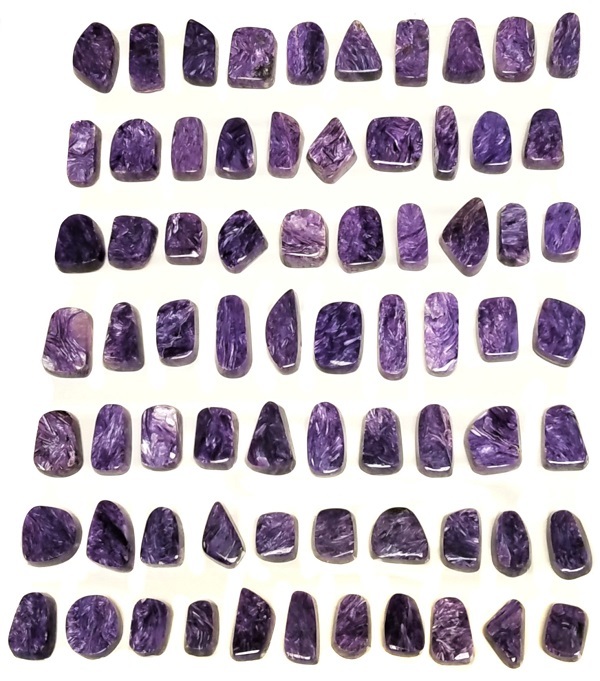 Parcel consists of 76 stones. 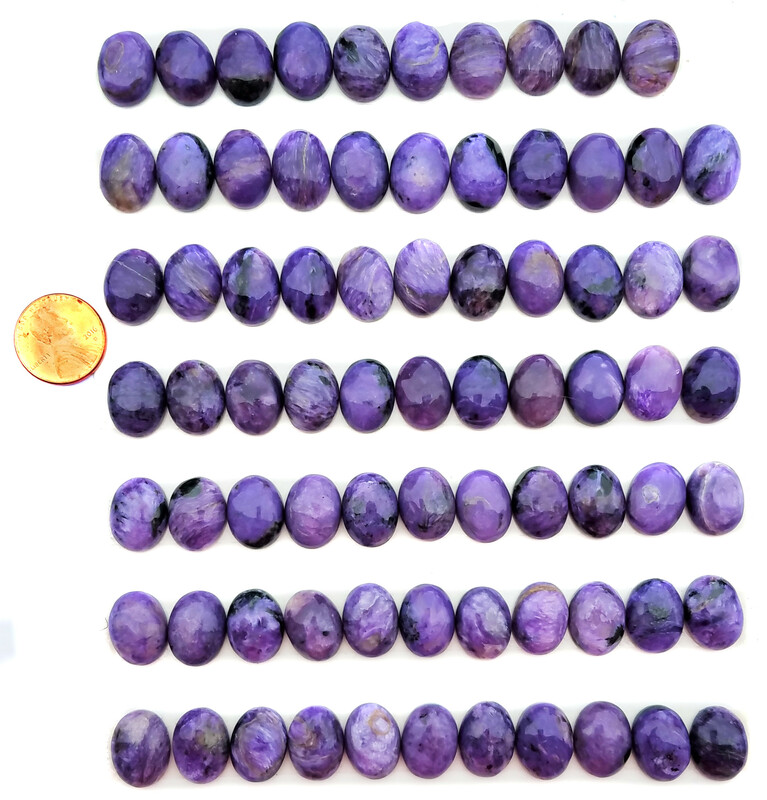 Calibrated Grade 1 Charoite 12mm x 16mm Ovals.